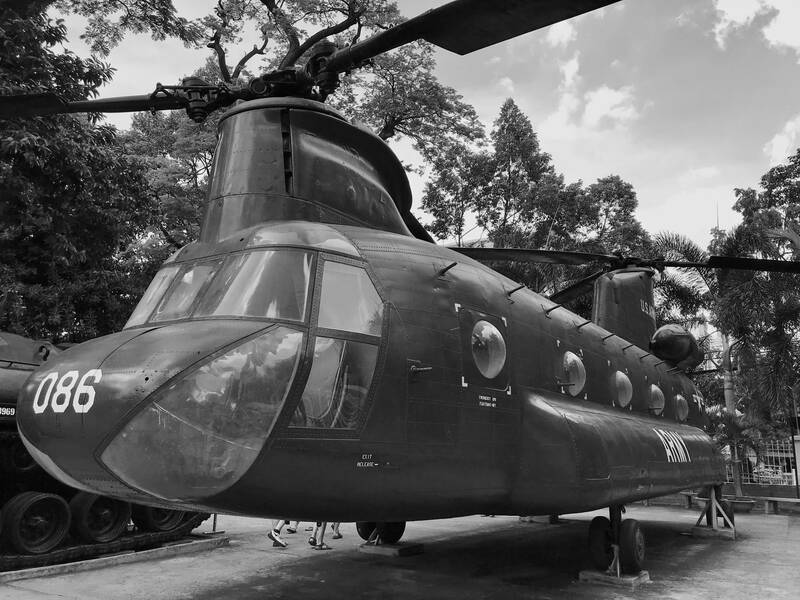 Vietnam is a country whose history is riddled with war. From the Chinese occupation to the French Colonization to the extremely controversial Vietnam War (officially referred to as the American War in Vietnam), the country surely hasn’t had it easy. But despite its difficult past, the Vietnamese have chosen to persevere. My first stop through Vietnam was Ho Chi Minh City, the hub of South Vietnam. Commonly known as Saigon, this is the largest city within Vietnam itself. 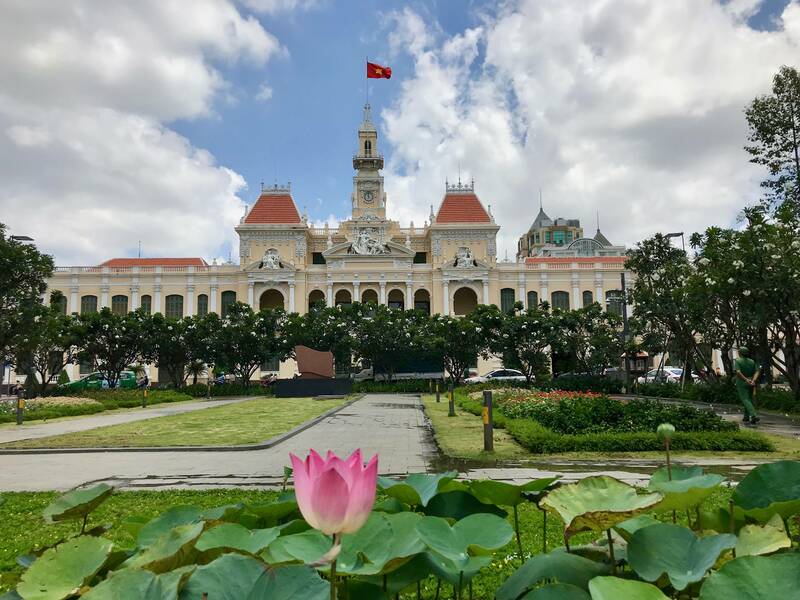 There’s still quite a bit of colonial architecture remaining in Ho Chi Minh City today, as well as prominent structures, wide boulevards, and various museums. You’ll hear talks of various districts, but know that most of the things to do and see are located in District 1 – the heart of downtown. If you stay at the right hotel, you will be able to walk to every site worth seeing. It is worth noting that ⅔ of the population were born after 1975, so you’ll see an influx of young faces. No matter the age, everyone is extremely friendly… yes, even if you’re American. Despite our past, Vietnamese and Americans get along well today, especially as Vietnam has adopted much of our culture and music throughout the years. 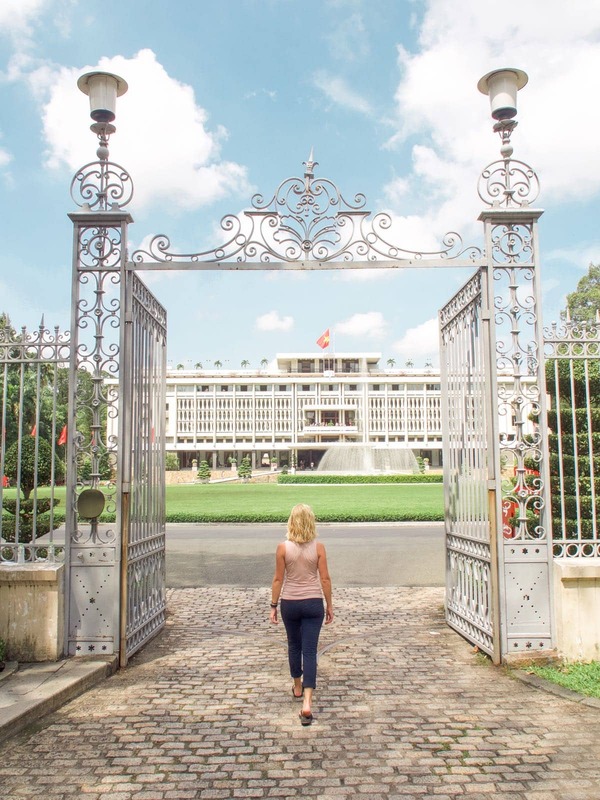 Independence Palace, also known as Reunification Palace, is where Vietnam – you guessed it – received its independence. During the Vietnam War, it was the home of the President of South Vietnam, and it was also the site of the Fall of Saigon on April 30, 1975. A North Vietnamese Army tank crashed through the gates of the palace, thereby putting an end to the almost 20-year Vietnam War. Today, you can tour the palace for 40,000 VND ($2 USD) to get an inside look into how the former president lived. 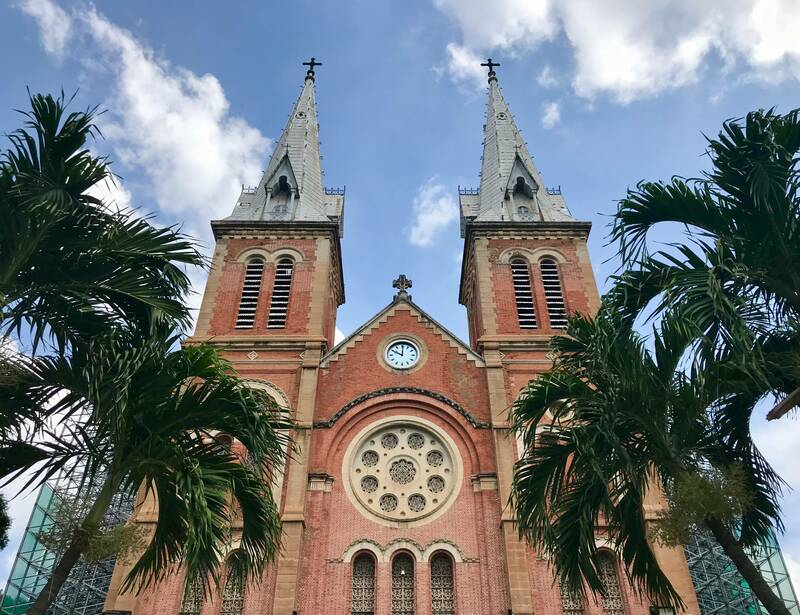 During the French Colonization period, the Roman Catholic Church began to establish religious ceremonies for the colonialists, and thus, the Notre-Dame Cathedral Basilica of Saigon was built. It was constructed between 1863 and 1880. The thing that makes this church unique is that all of the building materials were imported from France, particularly known for its red bricks. 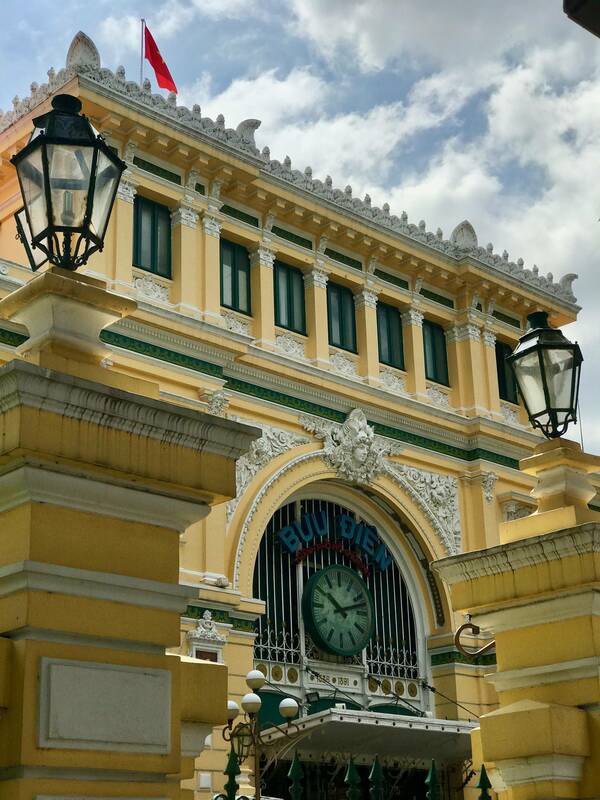 Beside the Cathedral, you will find the Saigon Central Post Office, constructed between 1886 and 1891. Once inside, you will find two original maps – one showing “Telegraphic lines of Southern Vietnam and Cambodia 1892” and the other showing “Saigon and its surroundings 1892.” At the end of the hall, you’ll find a massive portrait of Ho Chi Minh, the Prime Minister, President, and Chairman of the Communist Workers’ Party of Vietnam. While I honestly don’t have much to say about the city hall, it’s a beautiful piece of French Colonial architecture surrounded by some lovely gardens. It’s a great spot to take some photos, though the building itself is not open to the public. The Bến Thành Market is one of the oldest buildings in Saigon, dating back to the early 17th century and, today, is the largest market in Saigon. You can find all different kinds of souvenirs and textiles, as well as foods and beverages. 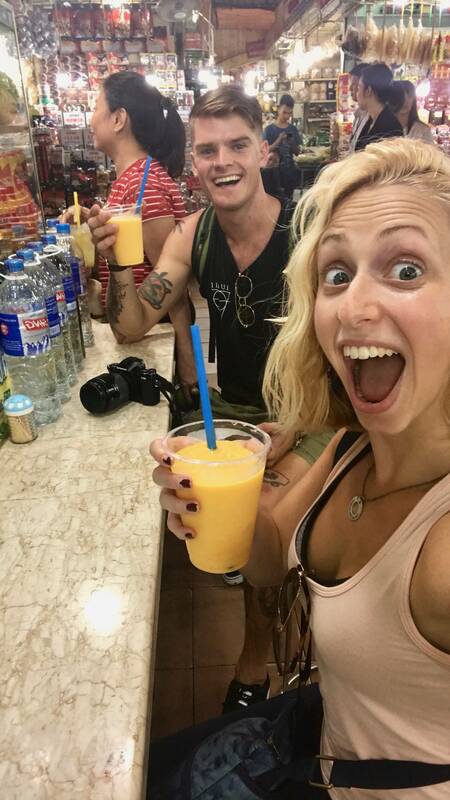 We opted for a delicious mango smoothie for only 20,000 VND (less than $1 USD). Definitely a great thirst quencher after walking around in the heat all morning! If you’re not a market person, you could always grab a tea at Drink Vietnam. 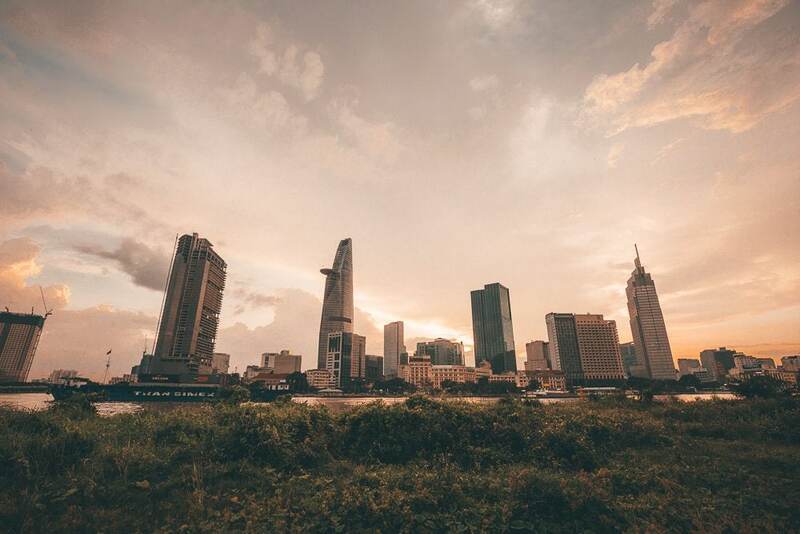 Standing at 262 meters, Bitexco Financial Tower is the tallest building in Ho Chi Minh City and dominates the skyline. It’s said to be in the shape of a lotus bud – Vietnam’s national flower – and to reflect the beauty of the city. Make your way to the 49th floor for outstanding views of the city, but make sure to book your tickets in advance. It’s 200,000 VND (about $9) to go to the SkyDeck and take in the views! 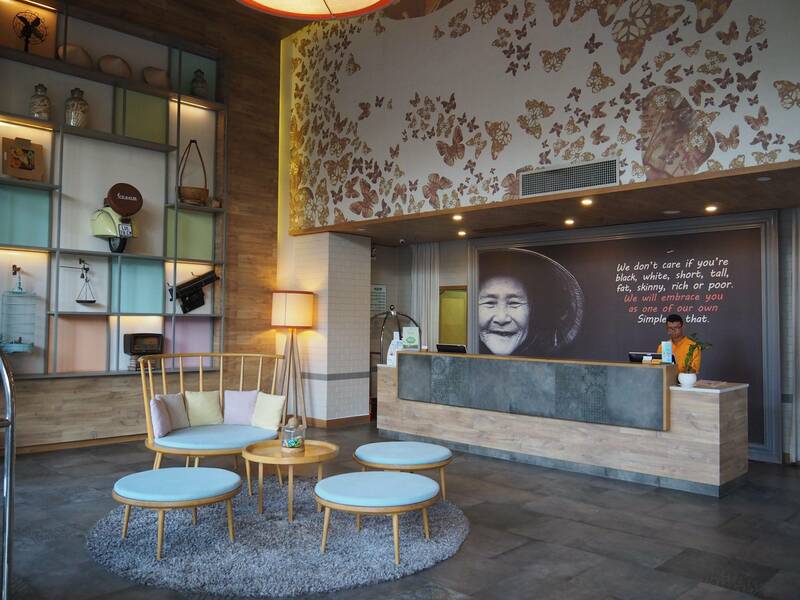 As it took me almost 30 hours to travel to Ho Chi Minh City from New York, I knew that I’d want to be comfortable when I arrived, and I figured that I’d find that comfort at Fusion Suites Saigon. From the moment I walked in, everyone was as friendly as could be … even when I arrived at 4am! I knew from the second I approached the building that I had found the right place for me, as it read, “Being unique is better than being perfect” above the entryway, which I absolutely loved! When I walked into my one-bedroom suite, my assumptions were confirmed — my room was fantastic! With a king-sized bed, lounge area, kitchenette, en suite bathroom, and massive window, I couldn’t have asked for more. Just what I needed after two long travel days. The following morning, I was treated to their complimentary breakfast buffet, with everything from your western breakfast sweets to your more eastern savory foods. 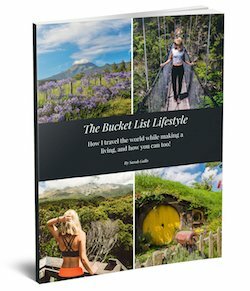 I honestly think I tried just about everything! 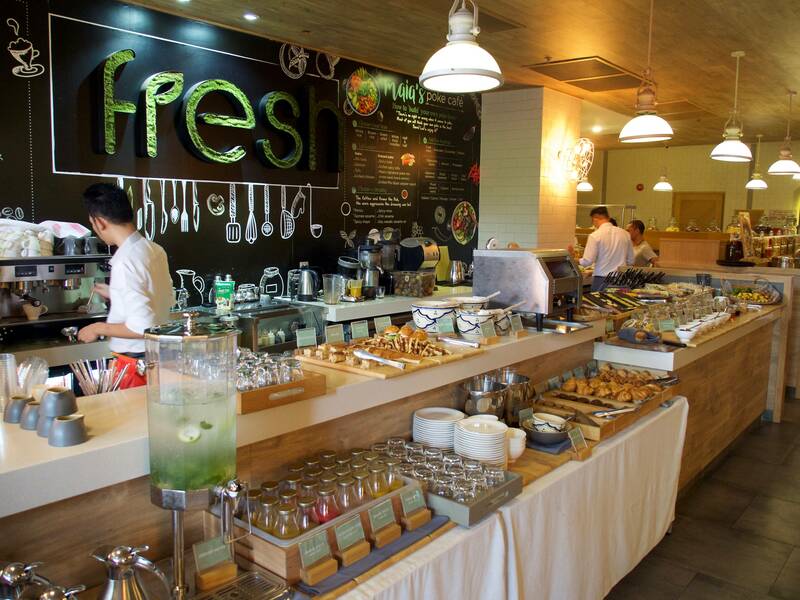 What’s unique about Fusion Suites Saigon’s breakfast is that in addition to the buffet, there is also an a la carte menu to order off — from the smoked salmon eggs benedict to the pancakes and pho, everything was delicious! And if a 6am to 10:30am breakfast window isn’t large enough for you, Fusion Suites and Resort properties live by the “breakfast anywhere, anytime” motto, so you can easily have breakfast food at any hour of the day, and either in the restaurant or in your bed. We spent the day exploring the sites above, as we were extremely close to everything we had wanted to see; Fusion Suites Saigon is located in the heart of District 1, meaning that absolutely everything was walkable. You may be dodging motorbikes all day, but you won’t have to get on one! After a long day of touring the city, we came back to the hotel for our complimentary 50-minute full body massage at their spa. Yes, complimentary. And no, not because I’m a blogger. Fusion Suites Saigon factors in a daily spa session for every guest with their room rate. How freakin’ awesome?! The massage was absolutely fabulous… and the perfect thing to ease the muscles after not only sitting on the airplane for hours on end, but then wandering the city by foot for a day too. One of the things I absolutely loved about the massage session was that we not only got to choose the type of massage we wanted, but the firmness as well. We stayed in Ho Chi Minh City at Fusion Suites Saigon for three nights and it was the perfect amount of time to both see the city and get a bit of relaxing in too! 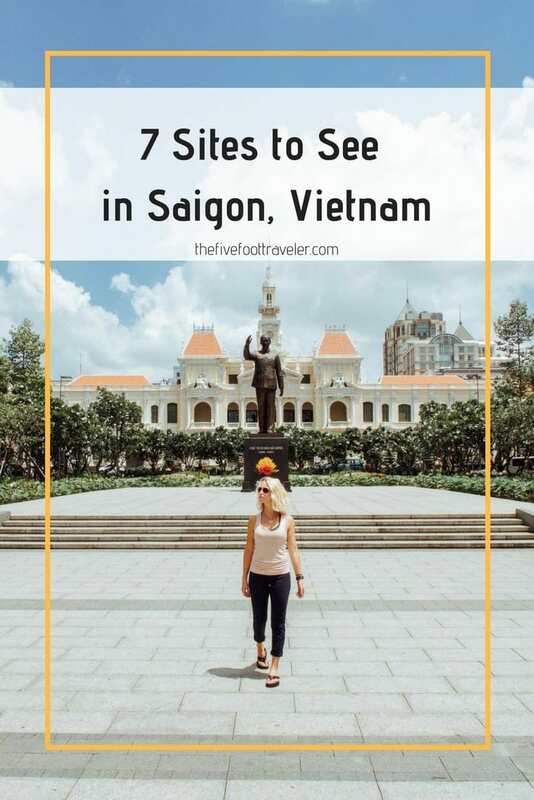 Interested in Visiting Saigon? Pin It Please!